There is more to coin collecting than just keeping coins. There is something at stake for those who make an effort to know what they are collecting: the Coin Collector’s Merit Badge. 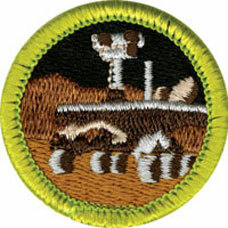 A person who wants to acquire a merit badge must prove himself to be someone who knows a lot about coins. Here are some of the things that a coin collector must know in order to earn the Merit Badge. They must also present five examples for each of the categories given above. Coin collectors must familiarize themselves to coin terms such as “encapsulated” coins, “proof” coins or legal tender to get the merit badge. They must be able to determine if coins are “buzzed” or “whizzed”. For a coin collector to achieve a merit badge, it is important that he knows how to take care, store and preserve coins. Coin collectors must be able to demonstrate thorough knowledge in coin collecting by showing the councilors different methods of coin storage. It is expected that the advantages and disadvantages of the methods will be provided as well. Knowledge of the parts of the coins will give important information. That is why coin collectors who want a merit badge must know where the mint marks are located in various coins and they must also know where to look for the initials of the coin designer. The councilors will be very pleased to hear stories about what you have learned about coins. These recollections may come from reading coin journals, attending workshops or seminars, joining a coin collectors’ club, or visiting mint facilities. It is also expected that coin collectors know a lot about coins from other countries as well. A coin collector must have a perception of whether a coin is authentic or counterfeit. Reading coin guides or interviewing personnel from mint facilities will be a help in this situation. After knowing these things, you are now equipped with the knowledge needed to be worthy of the coin collectors’ merit badge.